POPE MEETS OBAMA 9:00 A.M. I went to Catholic school through eighth grade. We began the day with Mass and had catechism study every day. This drew my heart to love Jesus. So, when I speak about this particular faith I do it with restraint as I do not want to offend those that I love in that faith. But, when the truth is told…it is to set us free. My life seems to have been drawn to studying God’s word. I also like to study why people believe what they do. It is in our beliefs that our lives are molded. I no longer participate in the Catholic (universal) faith, and so I would be classified as having.. ‘fallen away from the faith’. My faith is stronger now than ever before in my life. I hope others who love God will also consider what is being presented in this. These are eternal life and death concerns. And, I do understand that many Catholics do not recognize this Pope as their leader; as they have determined an apostasy has occurred centuries back. Now…. are you ready? Some will read these scriptures and think, “So what?” Others will be able to read between the lines and see the underlying statements being made. There are four levels of understanding scripture and I will try to keep you on the surface so you don’t drown in this. First, I must say….I did not realize, as a Catholic, that my church believed they were Israel. I realize now that this is direct Anti-Semitism. I did NOT realize that my Catholic church believed that they are living in the The Kingdom Age. That means that there is no Davidic Covenant yet to be fulfilled by God…which makes God a covenant breaker. Thus, they believe that living in this treacherous spiraling down world is, The Kingdom! ??? My friends, it was Sir Issac Newton that wrote two books on the history of wars in the bible that made him declare that men must study the Bible from it’s end and back to it’s beginning to see our future history. The Bible clearly has history laid out. Just in the Book of Daniel shows us the kingdoms that rise and fall and what the last kingdom will be like. Could this lie, all by itself, be so strong now that its members can not see that they are part of this apostate end-times church? I say this as Mohammad married Fatima. Islam is yoked with Catholicism. Oh how my heart breaks as the news gets even worse. This political union has been seen with the Pope’s recent visits to Turkey and in silent and verbal prayer with their Immans. And now, on Yom Kippur, The Day of Judgment, our Creator has allowed for our world to see the two pillars of faith yoking together at the White House of the United States. Obama who has a Jewish mother, has turned from his original faith and turned to his father’s faith, Islam. Obama has been hard to identify as he has shown us that he desires to be a man to all peoples bringing about Colonialism to our world. All verses quoted from, Complete Jewish Bible, e-sword. Rev 22:18 I warn everyone hearing the words of the prophecy in this book that if anyone adds to them, God will add to him the plagues written in this book. The Bible is written entirely by Jews and it is written to the Jew. And, Romans 1:16, “To the Jew first, and also the Gentile.” The Gentile could be grafted into The Book of the People. But, as usual, the Gentile becomes haughty and self determine what verses they are willing to live by. Yeshua (Jesus’ Hebrew name) said that the Anti-Christs were already present in His day. Any one or thing that is against the anointing of Him as Messiah is anti Him. Against Him…against Him coming back and reigning as the living Torah. Denying the physical reign of Messiah on the Davidic throne is being an Anti-Christ….Anti-Torah is Ant- Christ since Yeshua is the embodiment of the Torah. He could NOT be the Messiah if He broke it in one way. On the solemnest day of the YEAR….no one eats, drinks, works…shaves, sits…. Men have set to honor…not God on High, but men who claim to be as god. Jews will NOT be in Congress that day. On THE FAST…Tishrei 10, YOM KIPPUR (Yom is Day, Kippur is judgment/atonement) we will hear from two men of renown that our world has elevated above all men. What will they say? We already know what all the masses in the United States have been assigned to read. But first, let us read the verses that they left out so we understand the real setting…. the context of what is being said. Ezra of whom is torn with grief in finding that the priests and Levites…those responsible for the offerings of the people to God, have fallen…. He is upset because The Seed (not See) has been jeopardized by inbreeding. The Hebrews have married outside their race and Jesus/Yeshua/Messiah’s seed is LOST. Just as Satan desired…. Now we will see The Holy See proclaiming his seed on the earth….and it will be a mixing of other religions. Islam with Catholic (which people call Christianity). Ezr 9:1 After these things had been done, the leaders approached me and said, “The people of Isra’el, the cohanim and the L’vi’im have not separated themselves from the peoples of the lands and their disgusting practices — the Kenaani, Hitti, P'rizi, Y'vusi,Amoni, Mo’avi, Egyptians and Emori. Ezr 9:3 When I heard this, I tore my robe and tunic, pulled hair from my head and beard, and sat down in shock. Ezr 9:4 All who trembled at the words of the God of Isra’el assembled around me when confronted with the treachery of these exiles; and I sat there in shock until the evening offering. Liturgical reading for The Fast, Yom Kippur…September 23, 2015. Ezr 9:6 and said, “My God, I am ashamed. I blush to lift my face to you, my God! For our sins tower over our heads; our guilt reaches up to heaven. Ezr 9:7 Since the times of our ancestors, we have been deeply guilty; and because of our sins, we, our kings and our cohanim have been handed over to the kings of the lands, to the sword, to exile, to pillage and to disgrace, as is the case today. Ezr 9:8 Now, for a brief moment, Adonai our God has shown us the favor of allowing a remnant to escape and giving us a secure foothold in his holy place, in order for God to make things look brighter to us and revive us a little in our slavery. Ezr 9:9 For we are slaves. Yet our God has not abandoned us in our slavery, but has caused the kings of Persia to extend grace to us, reviving us, so that we can rebuild the house of our God, repair its ruins, and have a wall of defense in Y’hudah and Yerushalayim. 9:5 The Pope guides the Catholic Church to believe that they are IsraEL on earth. Is he going to tear his tunic at the 3:00 pm prayer (evening sacrifice)? This is the exact hour Yeshua (Jesus) gave up His life on the stake on Nissan 15…which the church changed to Easter. He was the Passover lamb as represented all through Hebrew history…not a rabbit. 9:6 Instead of being on bended knee, men will bow the knee to these two men as they stand side by side. Obama will not blush his face to the God of Isaac and Jacob as he speaks and acts as if he is god of this earth. 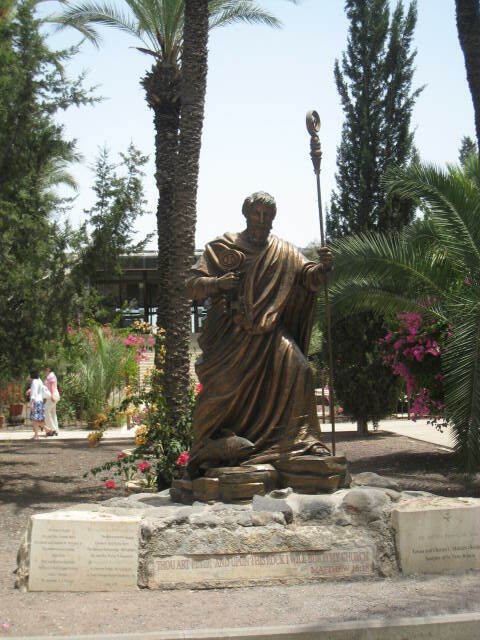 The Pope will recognize Peter as his foundation. The Christian will recognize Constantine as their founding father at the Nicean Council of 325 AD and endorsed by Marten Luther King in the 1600’s. The guilt of false theology has reached it’s guilt far into the heavens. False priests and kings have been handed over to the people because of their deep sin of marrying other religions (the whore). The Gentile strayed quicker after Christ left and quickly decided Jesus had fulfilled his duties at the cross and it became a ‘ many roads’ theme to God. People have not stayed pure so they will not know what the real Seed look like. The True Seed – Yeshua, is coming back as a Jew…not a Greek looking Jesus. The Christian will not recognize him as their Shepherd as he is still wearing a Roman soldier uniform….not priestly garments. 9.8… Ezra knows that the same troubles that the fathers had have besieged them again. Today, this Pope and Obama feel they are the remnant that has been allowed to escape their slavery. They have gained a foothold in God’s holy place…heading to Jerusalem. The Pope with Obama’s influence will gain access to the Temple Mount. The Catholic Church has long desired to rule from there. Muslims desire to rule from there. This could be the alliance witnessed before men that will bring these two allies to the Temple Mount to rebuilt it. Israel just may allow it, as they want peace for the Mount in order to preserve it. Ezra 9:9 is an incredible verse. In Ezra’s day it would take King Cyrus to bring them out of Babylon. Who was King Cyrus? He was the Prince of Persia. Persia is today’s IRAN. The Pope and Obama are both blinded to the world’s need for safety by this verse. They see themselves scripturally aligning with IRAN so as to have Jerusalem. What an eye opener as I sit and type this. I was only looking to see when the Pope would be in America and on what Hebrew day it would be. Now I find it is at the Morning sacrifice…when Yeshua was put on the cross…and when every Jew will first be praying on Yom Kippur. Now I find the Masses all across the United States and possibly world, will be declaring IRAN a friend. Let’s continue the verse….. What do we know about King Cyrus? He was a king that God raised up, ‘for such a time’ to bring IsraEL back into their land after their 70-year captivity. He became haughty and did not finish the job of helping the Hebrews rebuild The Temple. It would take them many years to see it function again. They have been in the land since 1948 and recaptured Jerusalem in 1967. And, the Temple is still not up. King Cyrus returned home by the same path he had come and then he dissolves into history and not heard of again. His empire fades away. This could very well be the same fate of America since America was a Cyrus. Harry S Truman spent three days in his bible before deciding he wanted to be remembered as a King Cyrus. Against all his friends and political advisers of recognizing Israel as a nation, President Truman, for his moment in time, crossed off the name Palestine and wrote in the word, Israel. He acted as King Cyrus helping to established Israel back into her land since the Temples destruction in 70 AD. Yes, my dear friends, we truly witness the thoughts that are turning into reality before our eyes. OBAMA and POPE Frances have set the stage of the world to see them as having authority over Jerusalem. They will rebuild their Temple, repair its ruins so as to be a wall of defense in Judea and Jerusalem. EZRA, Nehmiah and 120 other Men of the Great Assembly lived at 450 BC. The Temple was rebuilding. Ezra 9:9 – The Hebrew number nine is represented by the letter, Tet. It is represented by a snake, which means to surround. Today, Jerusalem is again surrounded by her enemies who think they are Israel. This Pope who thinks the harlot that believes they are Israel will find they are crushed. There will be one snake left on the Mount….Islam. Catholics seem to say that this is the last Pope and now we can see why. His purpose was to secure the Mount and then he will be no more. Fatima (Catholic) was just one woman Mohammed loved. This wife is just one of many. I want to add what the Gospel reading will be for that day that goes with Ezra 9. Luke 9:1-6 was chosen. note..another 9. Luk 9:2 and he sent them out to proclaim the Kingdom of God and to heal. Luk 9:3 He said to them, “Take nothing for your trip — neither a walking stick nor a pack, neither bread nor money; and don’t have two shirts. Luk 9:4 Whatever house you enter, stay there and go out from there. Luk 9:6 They set out and went through village after village, healing and announcing the Good News everywhere. The Pope goes on a trip into the nations of the world announcing his, good news of expanding the churches kingdom. Cuba, First stop. Monday, 8 Tishrei, September 21, 2015. Ground Zero – Friday, 11:30 a.m. – The US first church that was meant to be holy is constantly set apart to mock God. I am almost beside myself as I look at what is being said to all the world through God’s precious scriptures. My granddaughter thought I should put this to audio and so I might try to see if I can attach audio. Now, read the Responsorial Psalm people going to Masses will be agreeing. Now remember to wrap your mind around the fact that the Pope is the head of Israel and CERN is to shut off the collider in Switzerland on this day, as well. When the collider stops the smashing of atoms is to produce anti-matter of which they do not know how to properly contain. They have hoped to open a black hole through which the anti-matter can pass. 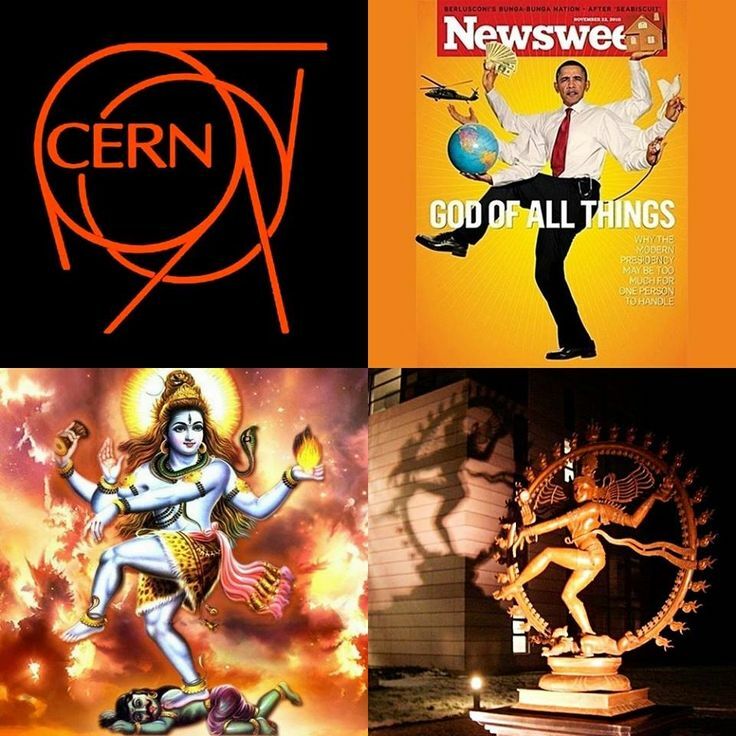 CERN has the figure of the god Shiva/Cernnaus at it’s outside entrance. Cerrnnaus is the god of disaster. Now with this background, let us look at what the people will be agreeing with. Response (1b) Blessed Be God, who lives for ever. So Catholic Israel has been scattered into the nations and will be shown great among them. Catholics exalt this Pope and praise him with full voice and exalt him as King. Catholics consider the Pope as God. People bow before him as he has the final word from the God. They are as one. The Pope’s power is shown to a sinful nation. Gospel means message. Whose message will the world hear on Yom Kippur? There are two judgments as seen even in the description for Yom Kippur. It is known as the Day of Judgment and also The Day of Atonement. There is only one way to the father and it is through the Son. This Son of man is the Son of God and He is God. He tells us that if you have seen me you have seen the Father…they are ONE. Jeremiah 31:31-34…..”saith the Lord: for I will forgive their iniquity, and I will remember their sin no more.” You can go directly to God just as the OT people did. Man’s only intercessor to God is Yeshua. I urge you to examine in what you believe.